At Cirrus we believe in old fashioned customer service. Our customers are the most important thing to us, coupled with our desire to provide you with the highest quality of work possible. Right from the start we involve YOU in the decision making process to ensure that you are fully briefed and that your expectations are met. To us, reputation is everything and the large volume of work which we get by way of recommendation is testimony to this. Started in 2007, Cirrus Electrical Services has been serving the local community ever since with the desire to offer affordable, precise solutions to the local community. From installing a single socket right through to complete re-wires, we are well placed to offer our customers the very best. Our aim is to grow in size but most important to us is our ability to remain focused on our core business principle which is to offer affordable, precise solutions to the local community. 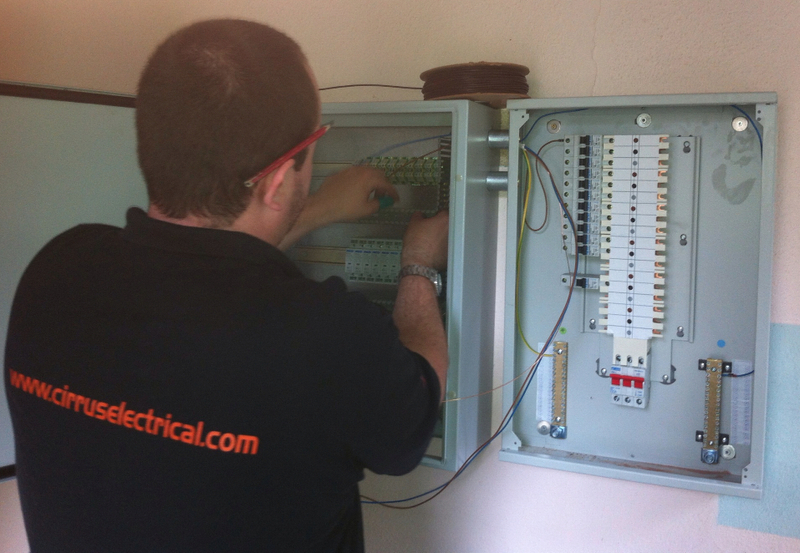 Our work is varied of course, covering most types of electrics but we stand by the old adage "No job too small"! Our electricians are fully qualified and also hold the 17th Edition update to the BS7671 Wiring Regulations 2008 meaning you are assured all work is completed to the highest possible standard and in line with current regulations.